Mast Motorsports has its feet in the water of quite a few different forms of motorsports. Basically, if there are LS engines involved, then so is Mast. So when a customer—who we’ll call “Racer X” for the time being—came to the company, wanting to take one of its Black Label LS engines and optimize the configuration for his Optima Ultimate Street Car Challenge 2010 Chevrolet Camaro, the team was more than happy to undertake the challenge. Mast Motorsports’ lineup of Black Label engines are hand-built LS engines based around LS7 architecture, primarily. “We offer the Black Label lineup of engines to suit the needs of today’s Pro Touring enthusiasts,” says Perry Kiritsy, Engine Development Manager for Mast Motorsports. This Mast Motorsports Black Label LS7 crate engine is the basis for the custom engine they built for a customer who competes in not only the Optima Ultimate Street Car Challenge, but in local and regional autocrosses, and occasional drag races. That fact necessitated the use of Mast’s LS3/LS7 heads, along with an LS3 intake manifold. This combination of a proven platform, procedures, and components, along with a custom-tailored program, is one that is hard to beat when done right. While that machine work is standard for all of Mast Motorsports’ engines, the use of premium components designed to handle the rigors and outright abuse of competition separates the company’s regular engines from its Black Label lineup. Starting with a Concept Performance LSR block for this particular application, the team decided to go with a standard 427 cubic-inch LS bore and stroke configuration. Using a 4.00-inch stroke Callies crankshaft, They then attached a set of Callies rods, with a set of 4.125-inch CP pistons hanging off the end. Those pistons feature a 1.5mm/1.5mm/3.0mm ring pack, with a set of CP rings consisting of a steel top ring, Napier second ring, and a standard tension oil ring. Clevite coated rod and main bearings keep the rotating assembly moving smoothly, while Durabond camshaft bearings were used for the bumpstick. A Melling oil pump resides in the stock 2010 Camaro oil pan, and provides the lifeblood to the engine. The Mast Motorsports LS3 295cc cylinder heads are designed for big-bore (4.125-inch-plus) applications, flow almost as much as Mast’s LS7 heads, use the LS7’s valvetrain, but allow for the use of LS3 intake manifolds. The slight difference in peak power over the LS7 heads, was more than made up for in the powerband they were able to achieve with the LS3 intake. The crown jewels of the top end are the Mast Motorsports LS3 295 cylinder heads, which Mast casts and machines themselves. Don’t let the name fool you, the heads have been designed specifically to be LS7 heads, with the LS7 valvetrain and their big-bore performance, while still accepting the LS3 manifolds. With 295cc intake runners and 70cc combustion chambers, this particular set of heads flow an impressive 392 cfm on the intake and 257 cfm on the exhaust side, at .700-inches of lift with a 4.125-inch bore plate. Inside the cylinder heads reside hollow-stem 2.250-inch stainless intake valves, with 1.600-inch inconel exhaust valves, controlled by PAC Racing 1207X RPM-series dual valve springs. 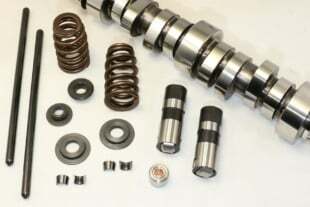 The camshaft is a Cam Motion hydraulic roller, with “23X”-degrees intake, “25X”-degrees exhaust, with lift in the .640-inch range on the intake, and .630ish-inch on the exhaust side. Johnson Lifters translate cam lobe information to the 3/8-inch Trend pushrods. Those then actuate the OEM LS7 rockers, which have been upgraded with CHE Precision trunnion upgrades. Straying from the standard LS7 intake manifold setup normally offered on the Mast Motorsports Black Label engines, as hinted at by the use of their LS3 hybrid heads, the team instead opted for a F.A.S.T. 102 LSXR manifold, with a mid-length runner to pair with the camshaft profile. 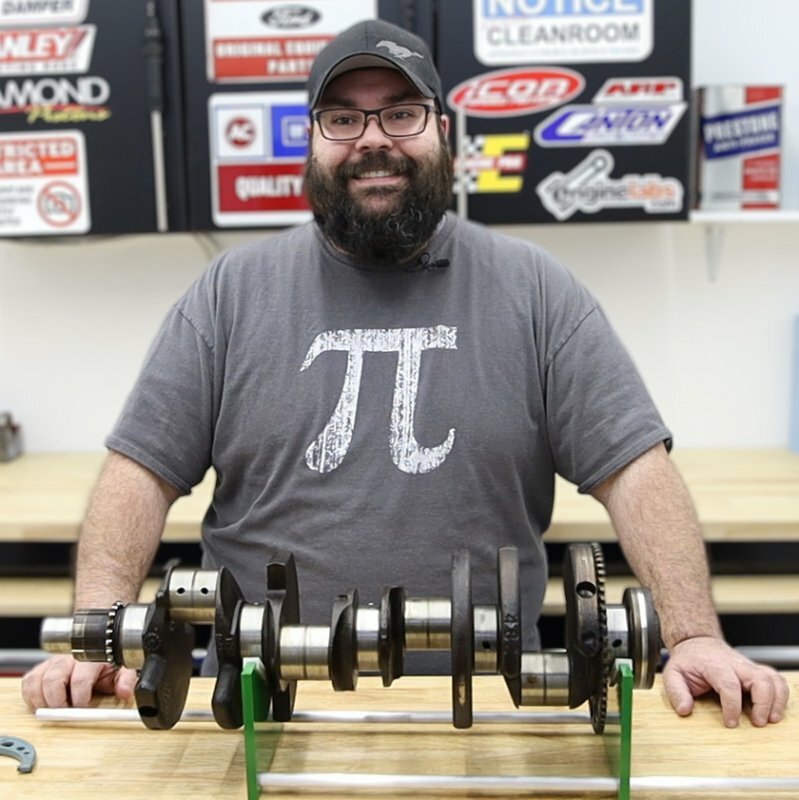 “Utilizing the FAST LS3 manifold with adjustable runner lengths allowed us to fine-tune [the powerband] very well,” says Kiritsy. By going with the Mast Motorsports LS3 heads, they were able to use a FAST LSXR intake manifold. The LSXR has removable intake runners, so that they can be cut to length and/or ported. 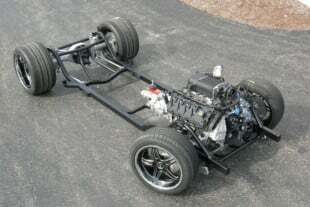 After some camshaft and runner-length tweaking, they decided on a mid-length runner for this application. A GM 90mm throttle body, coupled with F.A.S.T. 65 lb/hr injectors is fed by the OEM Camaro fuel system and combines with GM coil packs and the OEM GM ECU—reprogrammed of course—to comprise the engine management system for this awesome powerplant. There are a lot of considerations when optimizing an engine to a wide range of types of competition. In addition to just the specific demands of each type of competition, there are the demands associated with the vehicle itself, as well. “One of [the considerations] was that we needed to offer a very broad torque curve that can come in hard off idle, with little throttle input, to help move the heavy, full-interior 2010 Camaro,” Kiritsy says. While this engine is based on one of Mast Motorsports’ crate engine offerings, it proves that they aren’t just a crate engine builder, and can customize an LS powerplant tailored to whichever form of competition you enjoy. This is the dyno sheet for the LS7 Black Label crate engine. By switching to the LS3 heads and FAST LSXR intake, they only lost 8 peak horsepower over the LS7 heads and intake (693 vs. 701), but picked up over 55 lb-ft of peak torque (573 vs. 627), along with a much broader torque curve than the LS7, which the team wanted for the type of competition the vehicle will be used in.